5’7′ 1932 Mahogany Recently Rebuilt. 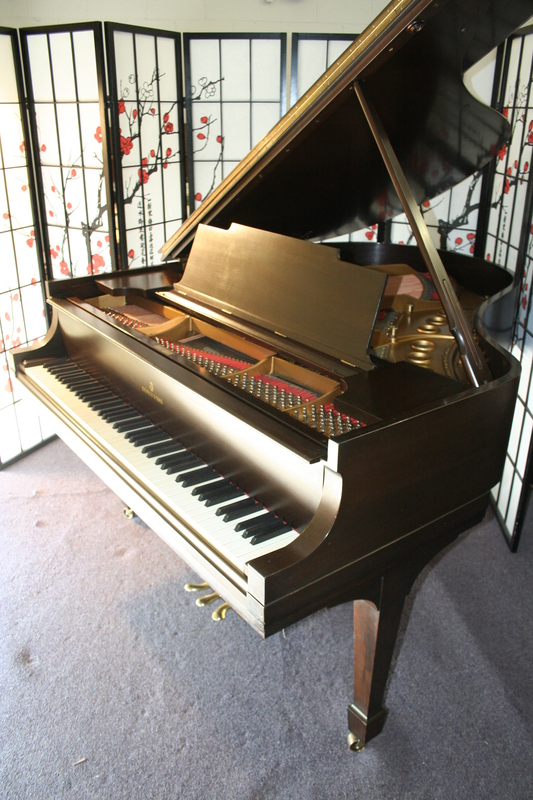 Steinway Grand Piano Model M 5’7′ 1932 Mahogany Recently Rebuilt. 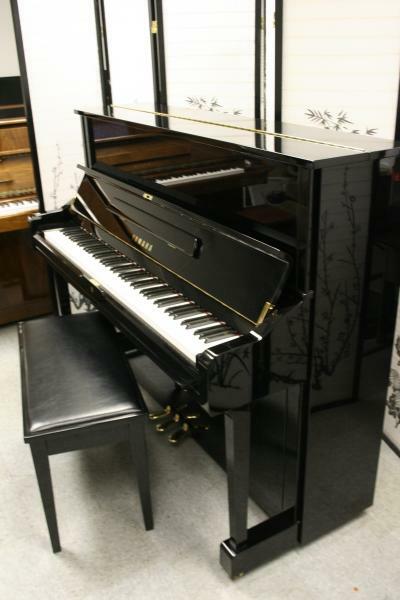 Steinway Grand Piano Model M, a real gem. Rebuilt a few years ago, new strings, pins, dampers, board re-varnished, plate re-gilded, action just regulated,original ivory keys. Rich, sublime Steinway tone and responsive action. This is a special piano. Our furniture people went over it and gave it a French Polish. Warranty. Questions? Call Sonny Direct 5631 475-8046. 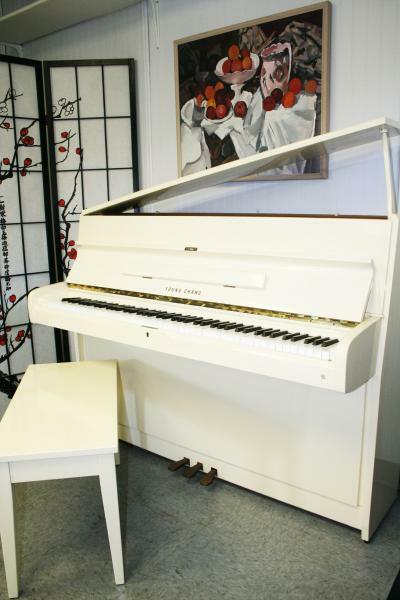 Mason & Hamlin Upright 42″ Console Piano, well maintained. comparable to the Steinway Console. 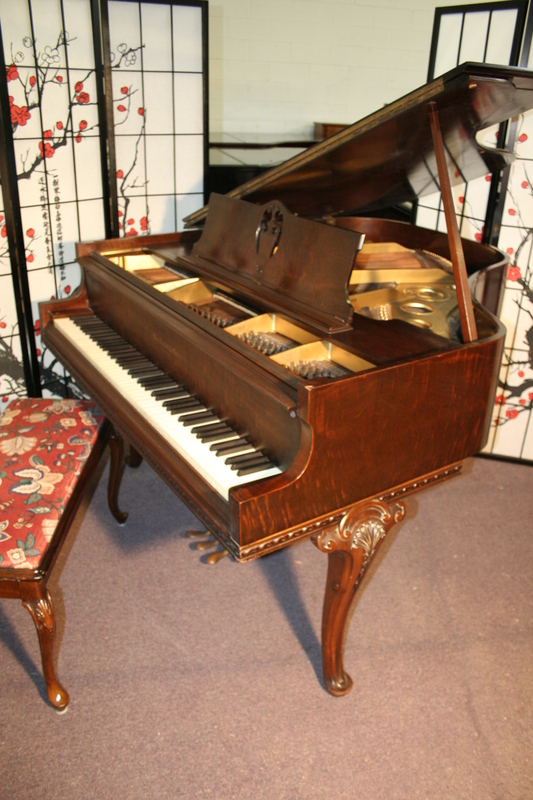 Pretty walnut with decorative case and inlaid music desk, spindle legs. Made in 1962. Mason & Hamlin Pianos considered second only to Steinways some consider them better at a lower cost. Warranty. Questions? Call Sonny Direct at 63 475-8046. 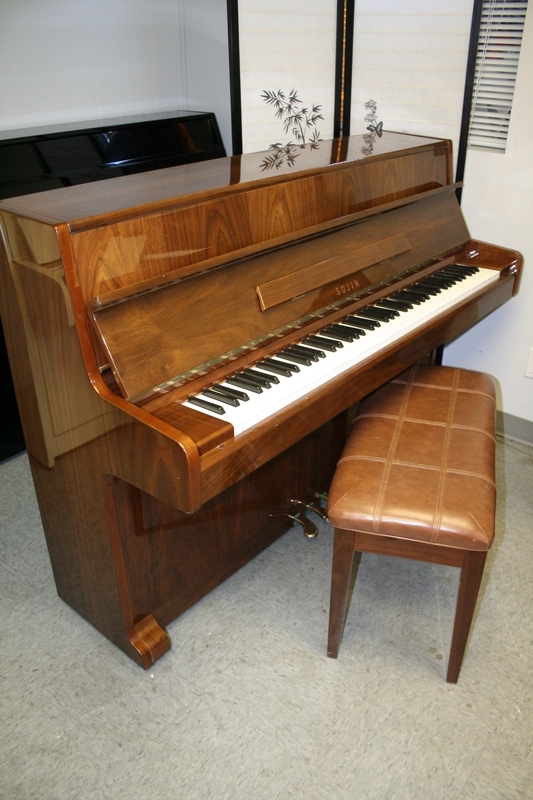 Pretty High Gloss Walnut Sojin 42″ console Upright Piano. One owner, lightly played, pristine, showroom condition. Warranty. Questions? Call Sonny Direct 631 475-8046. 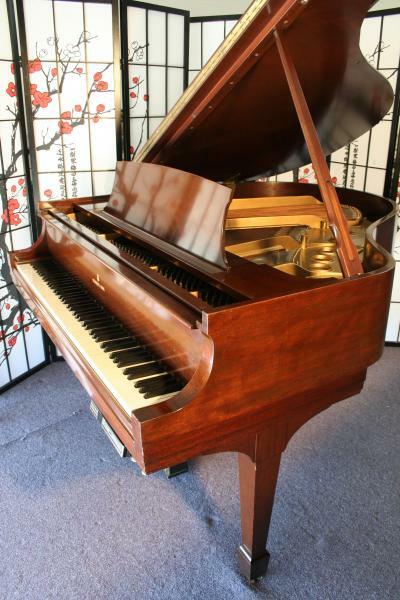 Beautiful Mahogany Steinway Model S 5’1″ w/PianoDisc Player System. Made in 1952, our technicians just regulated the action and voiced the hammers. Our furniture people went over the case and gave it a French Polish (several coats of hand applied padding lacquer to even out the sheen and freshen the look) Piano looks and plays great. Sublime rich Steinway tone, and responsive action. Original ivory keys. Free LI/NYC delivery, only $475. delivery the rest of the continental USA. 5 year warranty. Questions? Call Sonny Direct 631 475-8046. 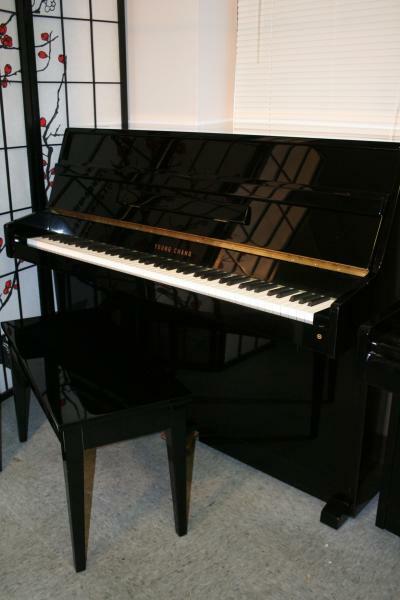 One owner Yamaha U1 48″ Studio Upright, pristine, flawless, showroom condition. Lightly played. Like new. Rich tone, precise, even action response. Free LI/NYC Delivery. Warranty. Questions? Call Sonny Direct 631 475-8046. 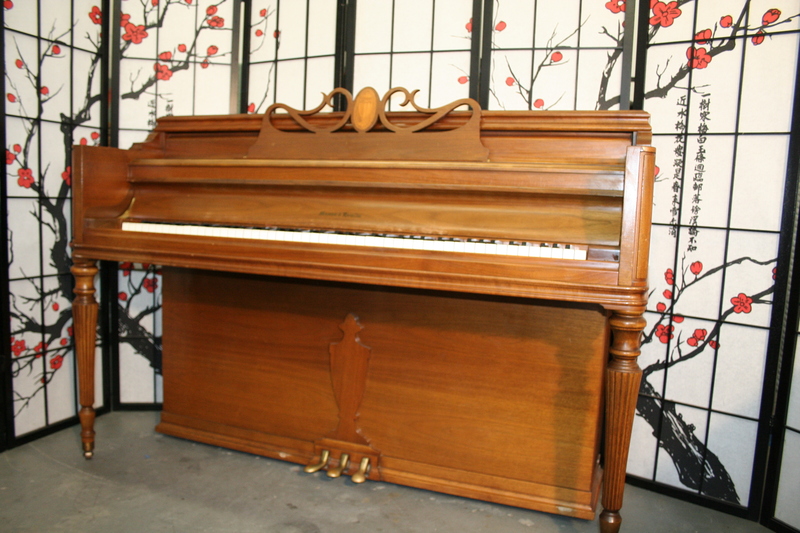 Art Case Knabe Baby Grand Piano (VIDEO) Beautiful Walnut $4500.